Farnesoid X receptor (FXR) is the nuclear bile acid receptor that plays a critical role in regulating the metabolism of glucose, lipids, and BAs. Likewise, the evolutionarily conserved autophagy pathway considerably influences energy and nutritional homeostasis. When FXR is activated, it can suppress the activation of autophagy by reducing the expression of numerous autophagy-related genes such as Lamp-2 and Atg7. This indicates a relationship between BA and their action on FXR, autophagy, and metabolic regulation. Energy depletion or cellular stress promotes the activation of autophagy, to cause the sequestration of cytoplasmic components for their energy generation and recycling/degradation. Pancreatic acinar cells are extremely efficient when it comes to synthesizing and releasing digestive enzymes. This means they are constantly subjected to high levels of denatured or misfolded proteins with possibly toxic functions. Due to this, it is important that pancreatic acinar cells reduce latent cellular damage through the autophagy process. Multiple distinct pathologies including inflammatory diseases, for example pancreatitis, have been associated with disabled autophagy. 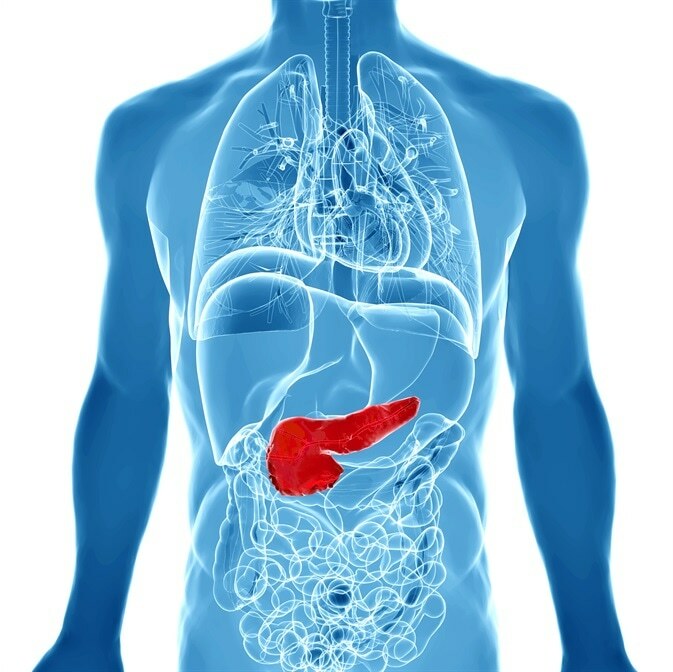 Some common etiologies for biliary pancreatitis are bile acid (BA) reflux or gallstones into the pancreas duct. In human beings, taurocholic acid (TCA) and glycochenodeoxycholic acid (GCDC) are the most abundant primary BA. Both TCA and GCDC can promote necrosis in primary human hepatocytes, mirroring focal liver necrosis that occurs in individuals with obstructive cholestasis. Keeping this factor in mind, researchers studied the potential relationship between BAs, downregulation of autophagy, and activation of the BA receptor FXR. To perform immunofluoresence, 4 μm thin FFPE pancreatic tissue sections were first acquired from human specimens and Atg7 mice and processed, as described before. Next, the StrataQuest software (TissueGnostics) was used to process all the images, making it possible to quantitate the entire cell numbers from DAPI-positive cells and to quantitate the target positive cells. In FACS-like scattergrams, the cells were plotted based on their Cy3 and Cy5 IF intensity against their DAPI-intensity from the whole tissue. TissueGnostics’ StrataQuest is the most evolved image processing solution developed for both fluorescence and brightfield images. This image analysis software can automatically identify nearly all tissular structures on a digital slide, and it then combines the detected objects into comprehensive context-based quantitative analysis. The TissueFAXS microscope unit from TissueGnostics is used to capture and analyze the images, as shown with the immunofluorescence method. The inverted fluorescence system TissueFAXS i Fluo has been specifically developed for scanning and analyzing cytospins, slides, Tissue Microarrays, and smears. The inverted fluorescence system is integrated with TissueQuest or StrataQuestFluo image analysis software. TissueGnostics’ inverse epifluorescence system, TissueFAXS i Fluo, can scan and inspect the specimens on slides, in Petri dishes, and in microtiter plates in epiflurescence mode. If the maximum of 6 single bandpass filters are fitted, the system scans 6 channels in epifluorescence mode but if multibandpass filters are used the number can be increased. This study shows that by activating the acinar cell FXR, BA contributes to the development of pancreatitis and leads to suppressed levels of acinar cell autophagy. This triggers acinar cell death, fibrosis and inflammation, leading to chronic pancreatitis (CP). BA plays a major etiological role in human pancreatitis, and infusion of retrograde BA is enough to set off pancreatitis in animal models. Recently, it has been reported that BA stimulates ATP release by exocrine acinar cells and therefore affects the status of cellular energy status. FXR – the bile acid receptor – has been described as an effective transcription factor that suppresses ATG7 and thereby disables the autophagic machinery in hepatocytes. Undoubtedly, the concentrations of BA are elevated and FXR is intensely activated in acini from human CP specimens and also in rat and human pancreatic cell lines subjected to GCDC in vitro; this is in alignmentwith the possibility that activation of BA and FXR promotes the development of human CP. It has been reported that FOXO3 also represses the expression of genes needed for autophagy, and that pancreatic specimens obtained from patients with CP had increased levels of FOXO3, indicating that both FOXO3 and FXR play a role in the inhibition of autophagy in CP. Overall, the results indicate a molecular cascade of events, where BA promotes the upregulation and nuclear translocation of their FXR receptor, thus activating the transrepression of the key autophagy-relevant gene ATG7 in pancreatic acinar cells. Pancreatic exocrine acinar cells activate different cell death mechanisms such as apoptotic and necroptotic pathways. When the autophagic machinery is locally inactivated, it compromises the survival of these cells.